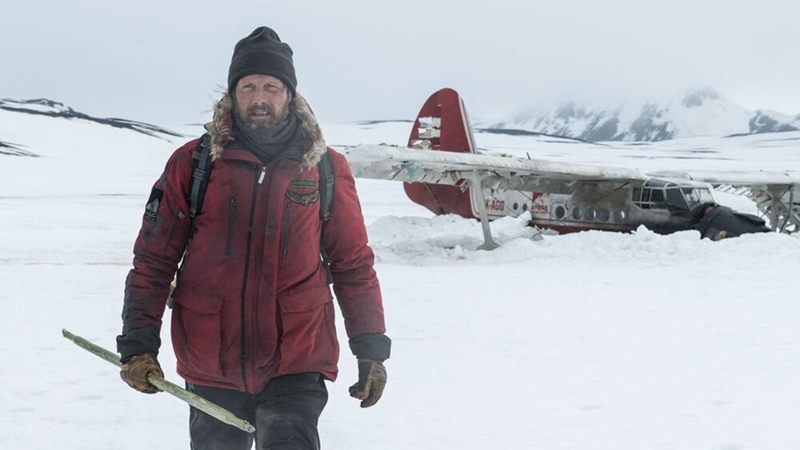 “Arctic” from first-time feature-length filmmakers, Joe Penna and Ryan Morrison, has been garnering buzz since its debut at the Cannes Film Festival last summer. It’s now playing in selected movie theaters. 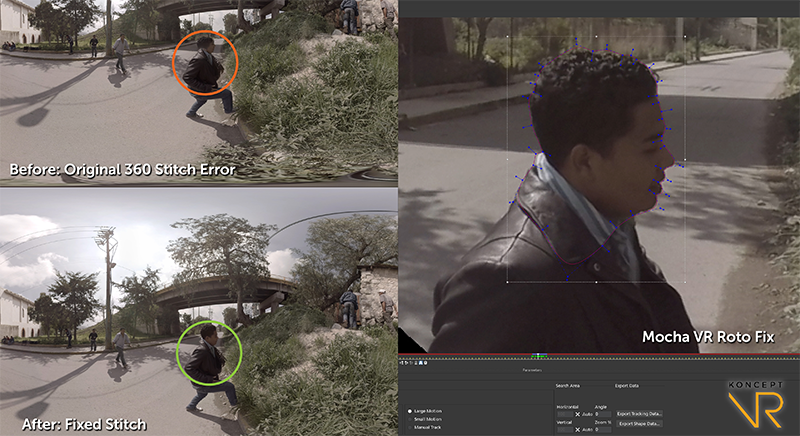 Learn how the filmmakers used Mocha Pro inside their Adobe After Effects workflow to help create invisible VFX on over 300 shots. 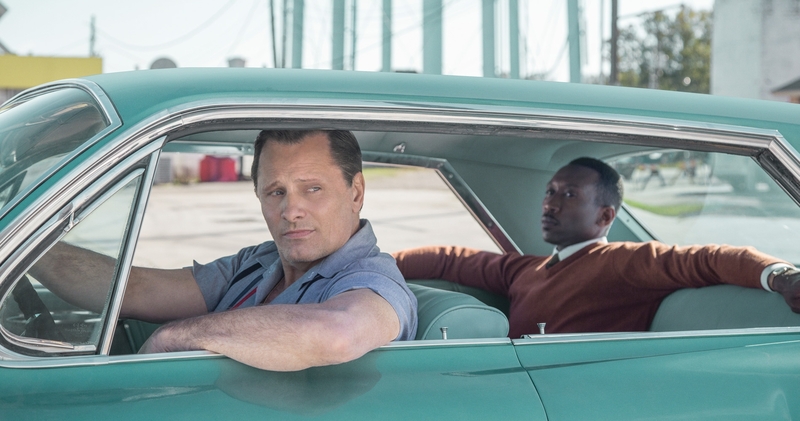 Pixel Magic discusses its VFX work on the 5-time Oscar-nominated film Green Book. Learn how Mocha Pro inside both Adobe After Effects and The Foundry’s Nuke played a vital role in removing and replacing the actual virtuoso pianist with actor Mahershala Ali’s acting performance from the head up. High-end VFX artist, Jesse Michael Newman, discusses how using Sapphire inside his Adobe After Effects workflow plays a major role on his compositing and motion design projects for top film, TV, and commercials for the likes of DC Comics, HP, Netflix, and more. 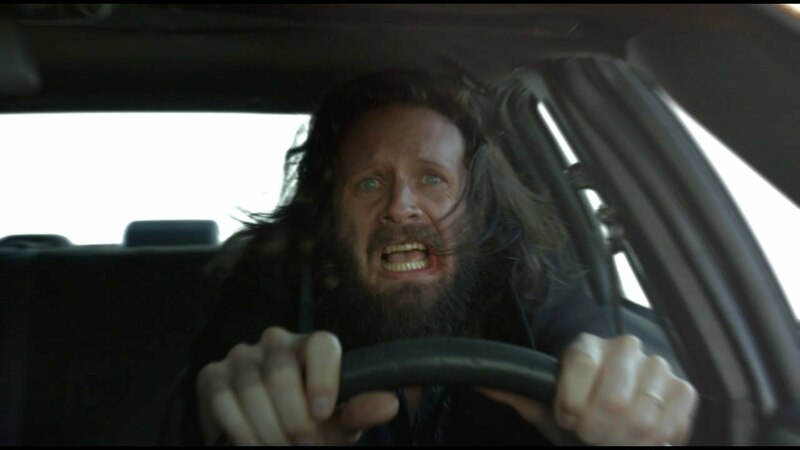 The award-winning creative team at LA’s Little Ugly on how they created the concept for Father John Misty’s “Mr. Tillman,” a trippy and hypnotic music video, and why they turned to Mocha Pro inside Adobe After Effects for complex rotoscoping work. Toronto-based Cream Digital on creating story-driven 360 narratives, how Mocha Pro (now including Mocha VR) offers massive time-savings on extremely the technical work of creating digital talent, and the future of the industry. 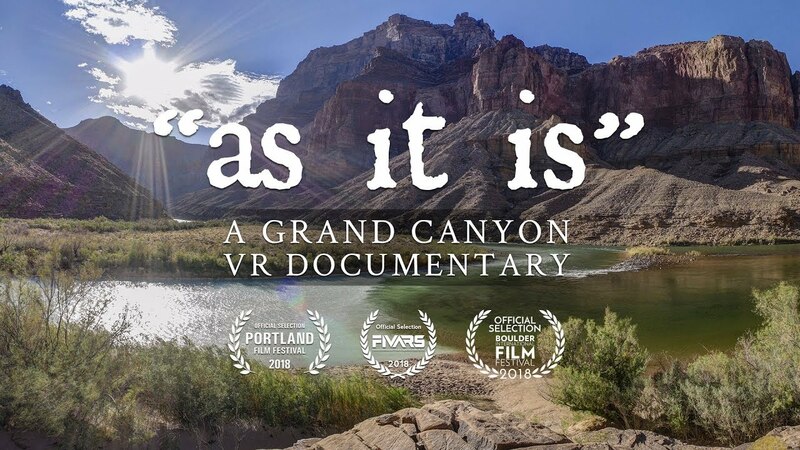 The Portland (OR) based-team at 360 Labs loves the great outdoors — and their labor of love, “as it is,” a 17-minute documentary about the Grand Canyon proves it. Learn how the team uses Mocha VR inside their Adobe workflow to remove objects and stabilize 360/VR footage. Blockbuster visual effects typically get all the glory. For the LA-based team at Wolverine VFX, the glory is in what you can’t see — the invisible visual effects like object removes, set extensions, and beauty work. The boutique has left an invisible mark on high-end episodic and film projects for clients including Amazon, CMT, NBC, Netflix, and Universal Pictures. 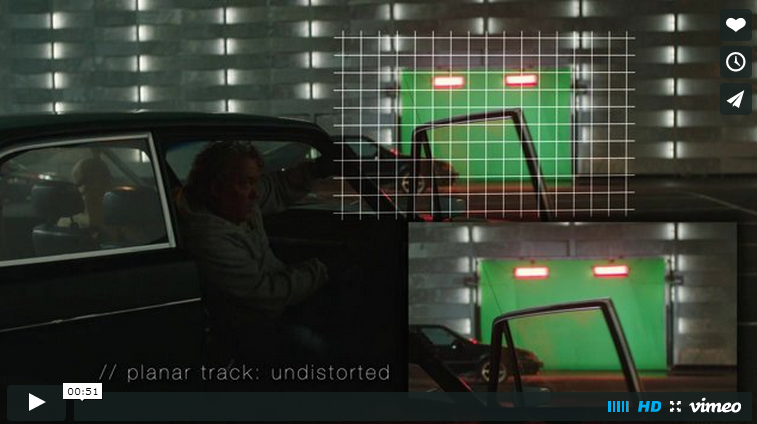 Learn how Mocha Pro’s planar tracking tools majorly speed up their Adobe workflow. Brazilian VFX artist and supervisor, Jorge Pereira OK, has worked on over 800 projects for giant global brands including McDonalds, Gatorade, and Pepsi. Discover why he turns to Sapphire inside his Autodesk Flame workflow to add masterful finishing touches that wow his clients. Red Bull Music & Culture teamed up with Director Parker Howell to create an ambitious, cinematic 360 music video experience for Kiwi singer/songwriter Villette’s “Money.” Learn how he turned to Mocha VR’s Remove Module on their 360 stereoscopic footage to help him easily get rid of the custom robotic dolly rig they created for the video. 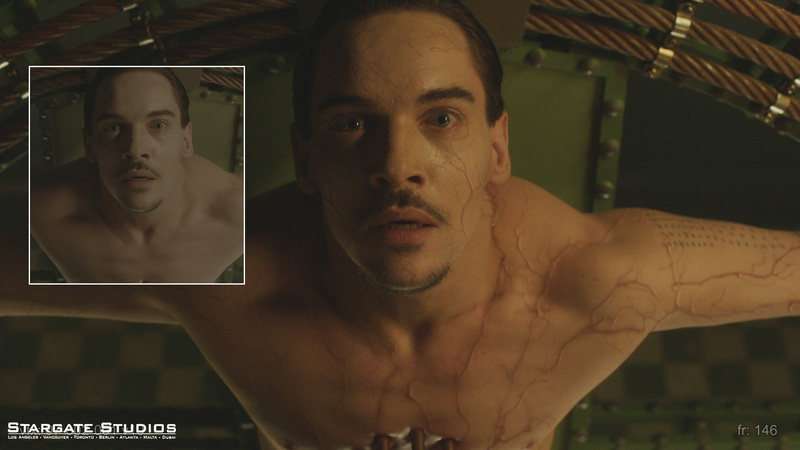 CVD VFX has won 3 LEO Awards for Best Visual Effects in the last 3 years — and it’s only 3 years old. 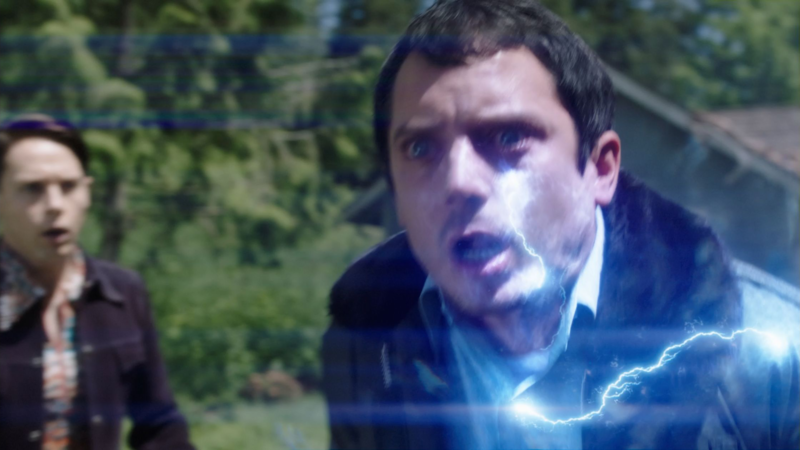 The Vancouver-based team uses Mocha Pro and Sapphire plug-ins inside their Nuke pipeline to add high-end VFX and work as efficiently as possible on projects including Westworld, Dirk Gently, and The X-Files. 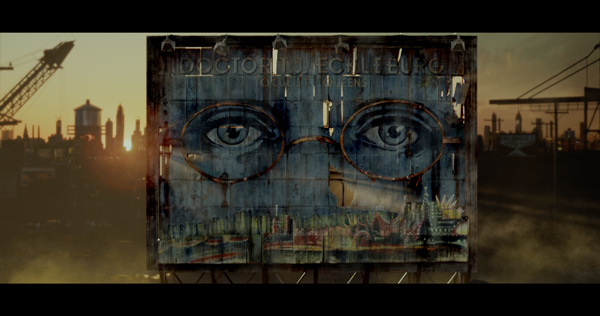 Barnstorm VFX was nominated for an Emmy Award last year for its work on Amazon’s The Man in The High Castle. The team, known for its invisible VFX including beauty work, set extensions, and burn-ins, relies on Mocha for its work on binge-worthy shows such as Silicon Valley, Goliath, Outlander and Get Shorty. The-Artery, based in NYC, prides itself on creating stunning visuals that are always forward-thinking. Discover how the team uses Sapphire’s VFX plug-ins inside their Flame workflow for both R&D and final projects for top film & TV, music videos, and commercial partners. Kate Moross, founder of creative design agency Studio Moross, is an illustrator renowned for her playful, colorful style. Discover how the team mixes illustration with Sapphire effects inside their Adobe After Effects workflow to create bold promos, videos, live performance visuals, and more for the music industry. RYOT is one of the 360° filmmaking industry’s top content creators. Their latest project Door No. 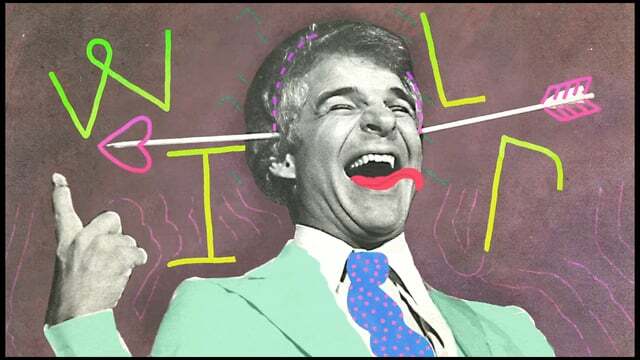 1 marks Hulu’s first 360/VR interactive comedy experience. Learn how the team used Mocha VR’s plug-in inside its Adobe After Effects & Premiere Pro workflow to easily overcome would-be interactive challenges. 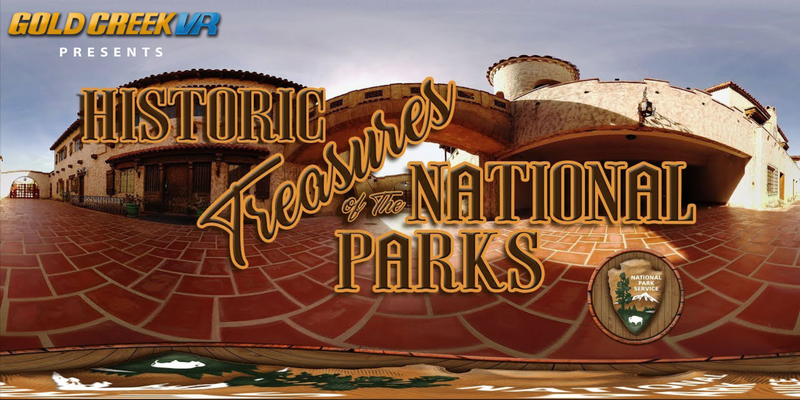 Gold Creek VR develops and produces 360 cinematic episodic series including Historic Treasures of National Parks, American Ghost Towns, and Super Pups. Recently the team turned to Mocha VR inside their Premiere Pro workflow to help solve some difficult stitch challenges. Young filmmakers at Claremont High School in California learn how to use Sapphire’s effects - and when and why to use VFX to help tell their stories - inside Avid Media Composer. See how they used Sapphire in their shorts. Time is money. Editing industry vet, Shane Ross, recently upgraded his Continuum for Avid to save himself valuable time. Learn how Continuum’s integrated Mocha tracking and masking tools make online editing for reality series like Log Cabin Fever easier. Blur out unwanted logos, signs, and more way faster. Freelance Flame artist Jesper Nybroe loves creating absolutely mesmerizing 3D fractals that will leave you in awe. Find out why Sapphire is his first choice for adding stand-out visual effects. Rising Sun Pictures works on some of the most-talked about and iconic visual effects sequences in today’s biggest blockbusters. On Thor: Ragnarok, the team delivered over 170 VFX shots many of which included extremely detailed roto work. Having access to Mocha Pro for their NUKE and Silhouette workflow saved huge amounts of time. Brainstorm Digital has a knack for bringing bygone eras back to vivid life with their stunning recreations and matte paint integrations. 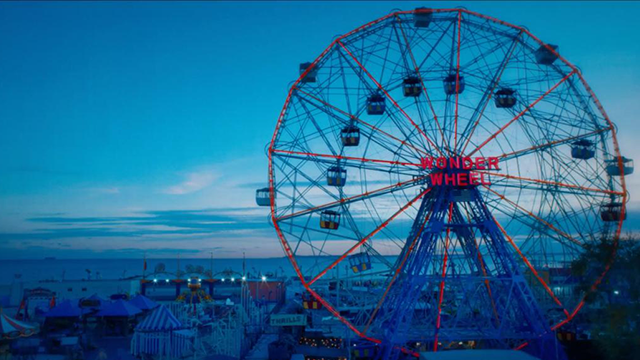 The team creatively used Mocha Pro’s planar tracking inside their NUKE pipeline to majorly cut down on time and cost on Woody Allen’s latest film, Wonder Wheel. Bonfire Labs works with the tech industry’s top companies, including Google, Twitter, AirBNB, Adobe, and GoPro. Learn how the content creation studio uses Mocha inside their Adobe After Effects workflow to quickly tackle screen replacements and wild roto work! 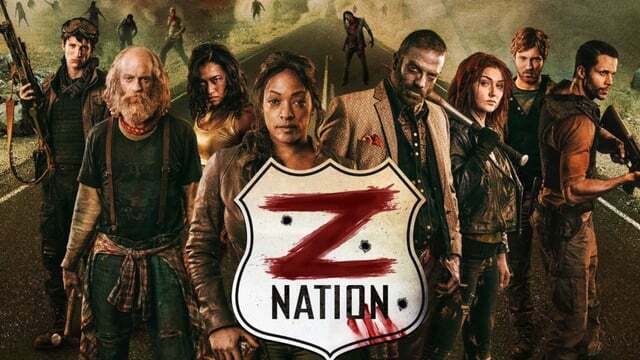 The Asylum, creators of cult hits including the Sharknado film series and SyFy’s episodic Z Nation, hit tight deadlines chock full of visual effects by relying on Sapphire, Continuum, and Mocha Pro to get the job done — and well. 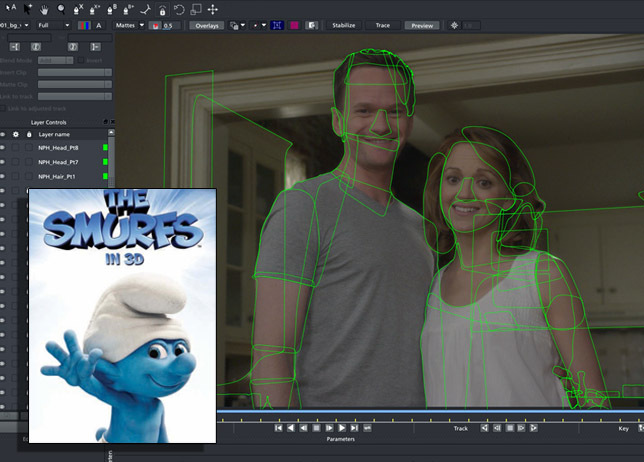 The in-house team uses Boris FX inside their Adobe After Effects workflow. Light Sail VR is injecting 360/VR projects with traditional storytelling with its motto of #storyfirst. 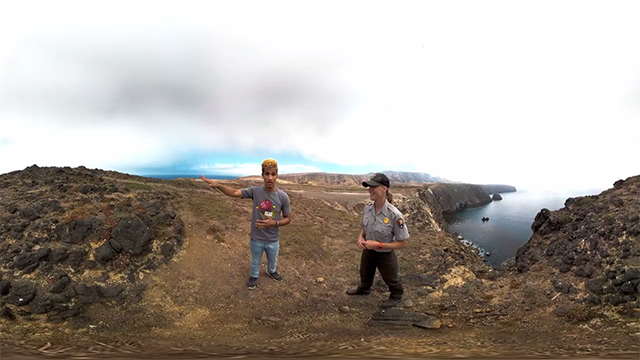 Learn how the team used the power of story on its 360 tourism project “Parks 101: Channel Islands National Park” and how Mocha VR helped stabilize tricky action shots. NAU, a LA-based design, animation, and live-action studio, is known for its highly-artistic style and creative methodology. Learn how the team used Sapphire inside Adobe After Effects for its out-of-this-world “How the Universe Works” spot for the Science Channel. RVLVR is pushing the boundaries of what it means to be a 360 filmmaker by focusing on creating emotionally-driven content. Think traditional fictional cinematic stories built for the VR/AR/MR world. 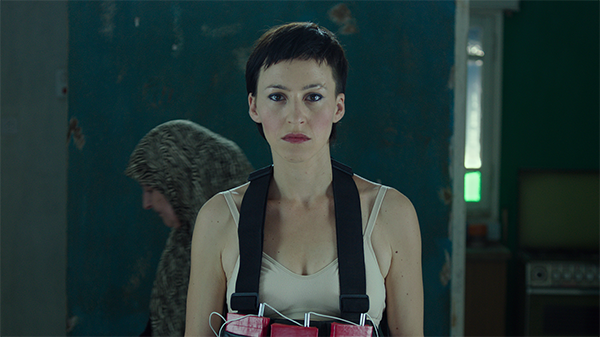 Led by Nick Bicanic, an influencer in the industry, the team recently produced CUPID, a fast-paced, action-packed narrative short. The up-and-coming genre presents major challenges in both production and post, including: removing the camera, the crew, stabilizing drone footage and more. Enter Mocha VR. Discover how Damien LeVeck of Skubalon Creative uses Sapphire inside an Avid and Resolve workflow for its de-centralized creative and post-production needs, including the award-winning horror short, The Cleansing Hour. London-based Splice Post adds high-end VFX and serious power to its projects inside Avid using Continuum, Mocha Pro, and Sapphire. PBS’s award-winning This Old House and its lifestyle empire face constant deadlines. The team was recently asked to “fix” over 30 years of archived shows. Learn how Continuum’s Image Restoration filters inside an Adobe workflow made the daunting task possible and quick. Boston-based ad agency Black Math’s style is often whimsical. The team uses Sapphire inside Adobe, Nuke & Autodesk to add subtle finishing touches like textures and lighting. In this video interview, Viewpoint Creative, a high-end turnkey creative agency with clients like National Geographic and HBO, talks how switching to an Adobe Creative Cloud pipeline has allowed the team to take full advantage of everything Sapphire has to offer to After Effects artists and Premiere Pro editors. Teddy Gage, an Emmy-nominated VFX and motion graphics artist, is always on the lookout for the latest VFX tools. He’s been a big fan of Mocha since he started using the bundled version of Mocha AE inside Adobe After Effects. Gage is now taking advantage of the Mocha Pro 5 plug-in inside AE for its GPU-acceleration and major time-saving benefits. 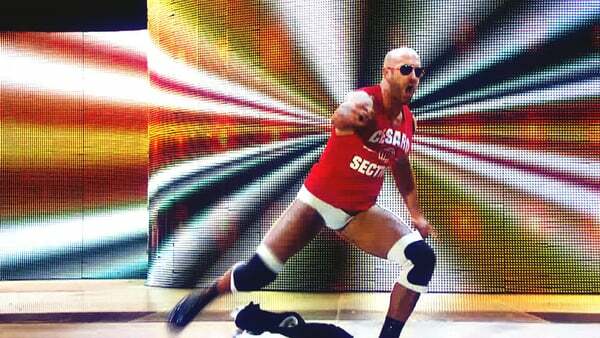 The WWE Network’s style is fast-paced, music-driven, and highly-stylized. Their programming (wrestling, reality TV, and films) reaches an audience of 650 million globally. To meet constant deadlines, the network revamped its workflow to a slick Sapphire, Continuum & Avid. Germany’s OMSTUDIOS recently shifted its focus to 360/VR projects. The studio prides itself on delivering the highest quality projects to its clients, shooting in at least 4k at 60fps. 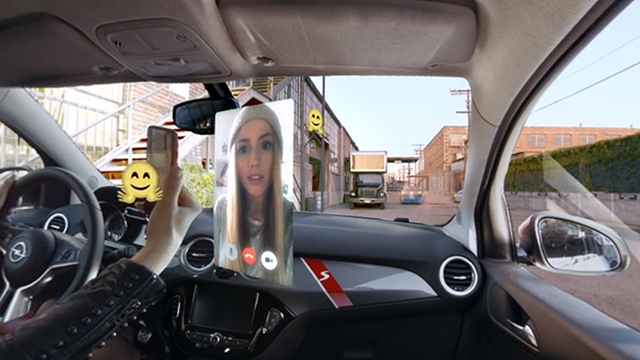 As big fans of Mocha Pro, the team immediately turned to Mocha VR to speed up their workflow (think removing dollies & cameras) on the often time-consuming medium. 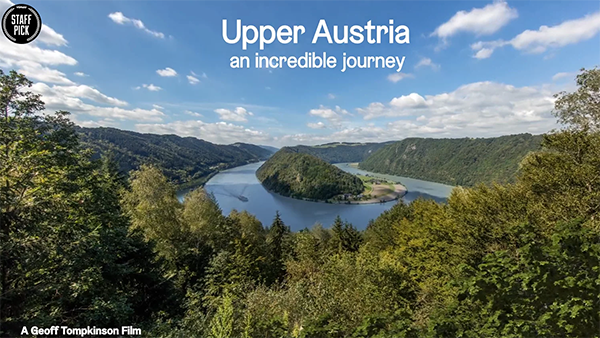 The HyperZoom technique, created by award-winning video producer Geoff Tompkinson, offers viewers awe-inspiring virtual timelapse flights, which often require heavy tracking and rotoscoping. Adding Mocha Pro to his Adobe After Effects workflow has sped up the process greatly. 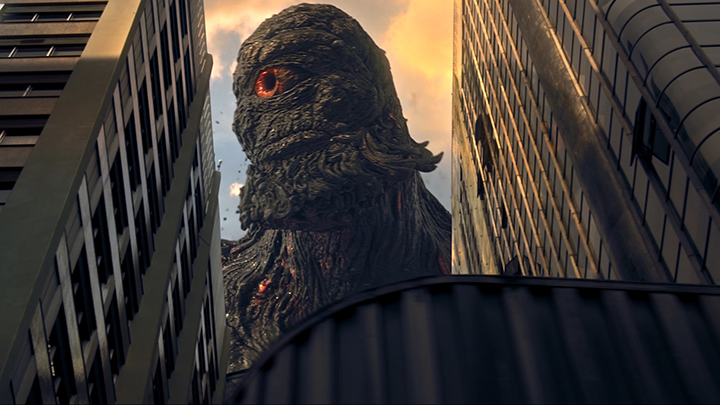 Carbon VFX is a full service studio with offices in NYC, Chicago, and LA specializing in commercial work. To meet tight deadlines, the team uses Sapphire inside Flame to quickly create eye-popping looks. 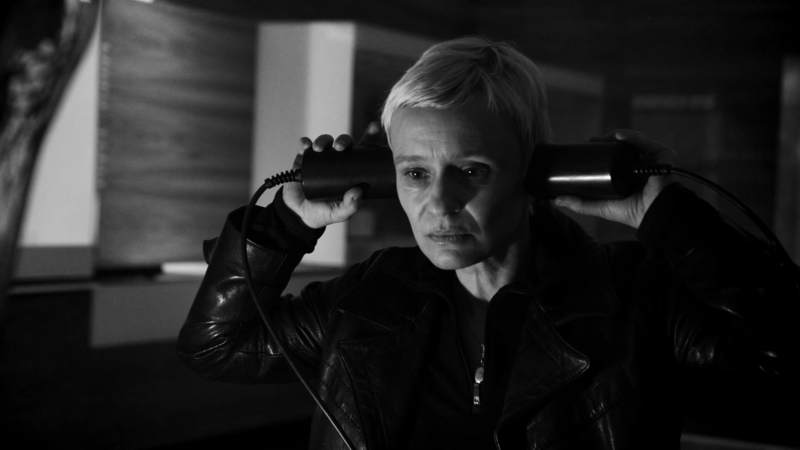 Award-winning independent documentary filmmakers Petra Epperlein and Michael Tucker turned to a deeply personal subject, the suicide of Petra’s father & and its potential link to East Germany’s secret police , for their latest documentary. The duo relied on Continuum’s Image Restoration category to restore old Stasi surveillance footage and interviews to effortlessly weave the harrowing story. Opus Post Production is the largest post house in Israel. It has built its reputation as the premier state-of-the-art post production house in the country by constantly searching for and adapting the best new technology - including upgrading all its online and offline suites to Continuum 10. 360/VR filmmaking has gone mainstream. Early VR adopters in NYC, LA, and London talk about the benefits of our new Mocha VR plug-in for 360 post & VFX needs. Ang Lee’s recent film Billy Lynn’s Long Halftime Walk (Sony Pictures) has received widespread attention for its technical innovation and groundbreaking “high frame rate” cinema experience. 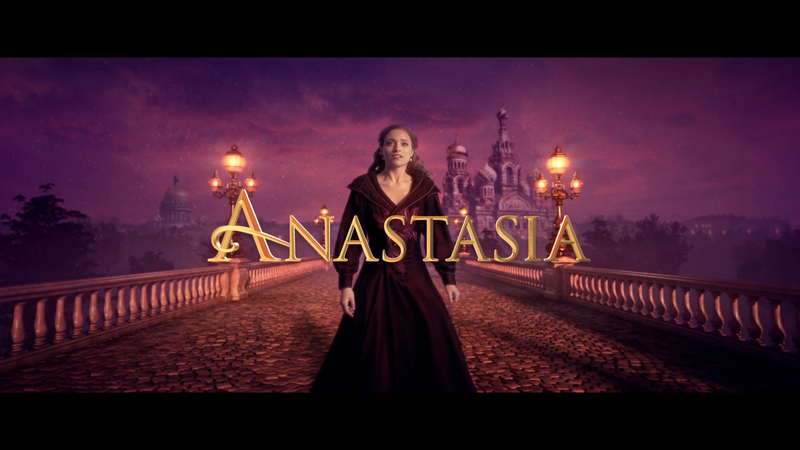 The film based on the best-selling novel of the same name opened nationwide in November. We recently caught up with industry veterans Michael Huber and Alex Lemke, who co-own East Side Effects, a NYC-based visual effects boutique. 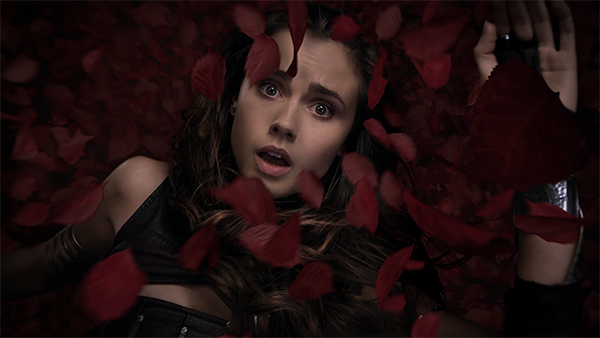 Huber and Lemke were brought into the project early as the in-house compositing artists and in-house VFX Supervisors. 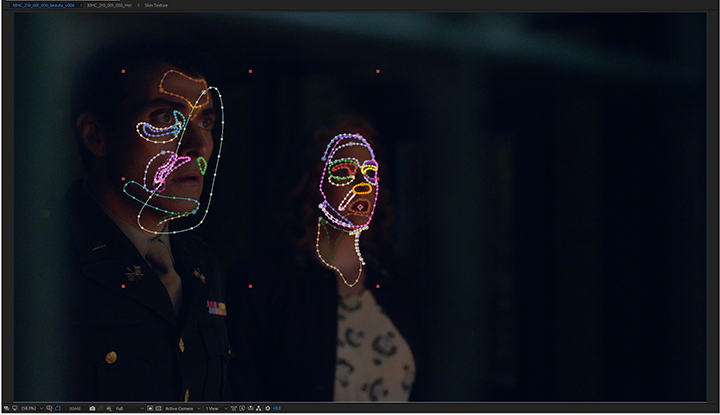 When ABC needs visual effects on its addictive highly-popular TV series created by Shonda Rhimes – How to Get Away with Murder, Scandal, and The Catch – they turn to VFX Legion. And, VFX Legion turns to Mocha. “Son of Zorn has been the first Titmouse project to integrate Mocha Pro heavily into our compositing pipeline,” says Jennifer Ray, Producer for Titmouse and Animation Producer on Son of Zorn. Find out how AlphaDogs keeps up with tech to help them work more quickly on image restoration fixes, beauty work, and more. 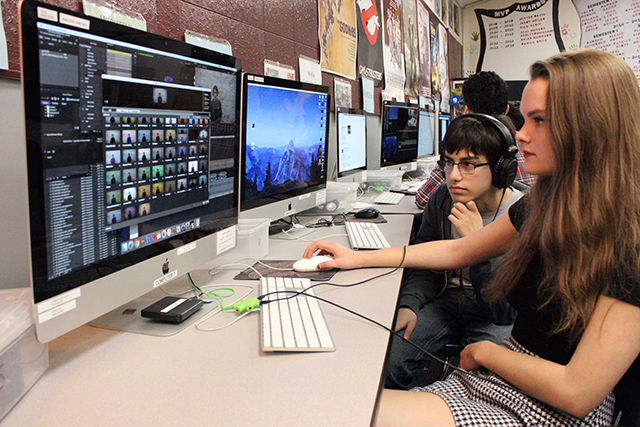 The team uses Continuum, inside Media Composer, Adobe Premiere Pro, and DaVinci Resolve. LA-based Sandwich Video launched in 2009. The creative agency/production facility, whose staff has grown by 80% over the last year with 30% of that growth in the post-production department, creates video and tv commercials for brands like Starbucks, Facebook, Amazon Studios, and Air BNB. Sandwich’s signature style is clean brand messaging. “The use of graphics came out of necessity for simple communication,” says Jeff Hodges, VFX Artist. “If a picture is worth a thousand words, then the use of graphics allow us to use fewer words while getting more information across at the same time. In 2014, Nice Shoes, a New York-based coloring and finishing studio, added a team of creative directors, VFX artists, and animators to form Nice Shoes Creative Studio. The expansion allows Nice Shoes to deliver a full service production and post-production experience to its feature film, broadcast, music video, and commercial clients. Recent credits include: Pitch Perfect 2, Urge, the Cannes Lion-winning pharmaceutical campaign “Take it From a Fish,” and Pink’s new music video “Just Like Fire. 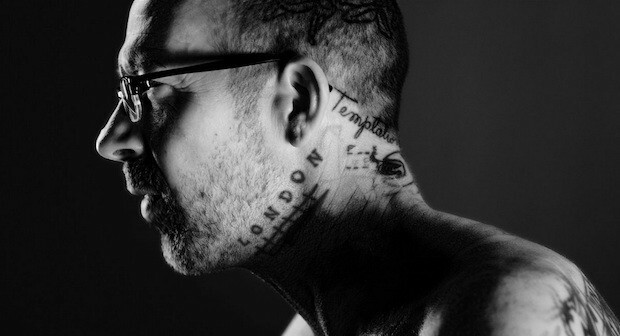 Parisian-born Jean-Marie Marbach has always been drawn to two things: telling stories and translating music into visuals. The self-taught Adobe After Effects VFX artist, who determinedly submitted his show reel to post-production studios until he got a response, is now living his dream as an award-winning music video Director/VFX Supervisor. His highly-stylized videos are influenced by both his VFX background and knowing he has mocha Pro as part of his arsenal. Mon Agranat is a freelance film and TV Online Editor and Colorist with over twenty years experience in post production. His credits include ABC’s Dancing with the Stars and Discovery’s Naked & Afraid. The long-time Boris FX user relies on Continuum Complete 10 in both Avid and Blackmagic DaVinci Resolve for his work on broadcast reality and competition shows. His latest project, FUSE TV’s Fluffy Breaks Even, is a fun light-hearted reality show that follows comedian Gabriel Iglesias as he and his tour mates eat their way through each stop and then try to burn off all those extra calories with extreme workouts. O.J. : Made in America, a five part mini-series produced by ESPN Films (home to the award-winning series 30 for 30), had its broadcast premiere earlier this summer. The documentary event, helmed by Peabody award-winning documentarian Ezra Edelman, marked a first for ESPN Films. The team relied on hundreds and hundreds of hours of footage mixed with current interviews from members of the trial, journalists, community activists, and friends of O.
FuseFX is an award-winning visual effect studio with a flagship facility in Los Angeles and outposts in New York and Vancouver. The 100+ member team juggles over 30 television episodics a season, while also working on features and commercials. Current credits include: FOX’s Empire, ABC’s Agents of SHIELD, AMC’s The Walking Dead, SyFy’s The Magicians, CBS’s Zoo, and FX’s American Horror Story. We recently sat down with Brigitte Bourque, Digital Effects Supervisor and a 20 year industry vet, to learn more about the work FuseFX does and how mocha fits into their pipeline. The Edit Store is a post production facility located in two listed Georgian townhouses on tranquil Bedford Square, a short walk from the bustle of Soho and Fitzrovia. Founded in 1990, The Edit Store remains an independent facility, a rarity in today’s post production world. The team has a wealth of experience working on documentary, factual, current affairs and factual entertainment content. The Edit Store provides full post services for programmes such as “Panorama,” for the BBC and Channel 4’s award-winning “Dispatches,” and “Unreported World. Los Angeles-based BLP VFX thrives in the fiber-optic paced world of television much like the criminals on CBS’s CSI: Cyber, one of their main projects. The close-knit team, consisting of 8-9 artists with experience in all aspects of production and VFX, prides itself on its unique two prong approach – as an in-house team or as a vendor (or a combination of the two). “We are artists first and foremost,” says Brad Powell, VFX Supervisor. We love to support education and up-and-coming talents. Caleb Natale, a nineteen year old with a 300k following on Vine (the wildly popular social video platform), recently caught our eye. “I have always loved VFX,” says Natale, a Cinematic Arts major at Liberty University in Virginia. “Before I started Vine in 2014, I was filming and editing videos for fun with some of my friends. Vine was just a random and silly thing to, definitely not a career option at the moment. The Wizards of Aus is a witty fish-out-of-water comedic TV series that follows Jack, a Gandalf-type wizard, who decides to leave a wannabe Middle Earth to live a normal low key life in the human realm. What could go wrong? “This might be the strangest thing you see this year. But it’s so worth a look.” – Herald Sun & Daily Telegraph The highly ambitious series is the brainchild of LateNite Films, a small creative production studio in Melbourne, Australia. Josh Johnson is a freelance VFX artist, a 3D generalist, a compositor & creator of vfxdaily.com, a blog where he shares tutorials along with his work. After graduating in 2006 with a degree in Digital Cinema Arts, he decided to learn visual effects and computer animation. He bought the equipment he needed and taught himself how to use Adobe After Effects and Cinema 4D. 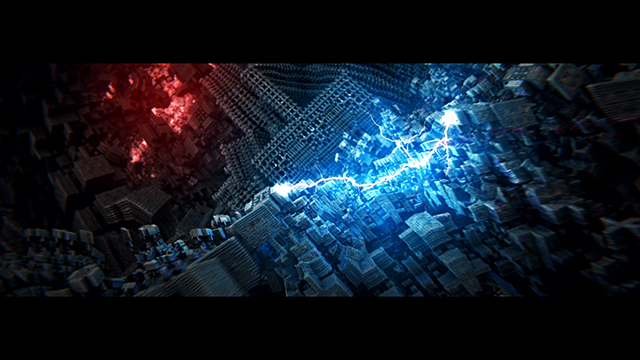 In 2009, he began to use mocha which has become an indispensable part of his every day VFX workflow. What happens when mocha artists are let loose on a classic Kubrick film? VFX artists and directors, Nick DenBoer and Davy Force recently wowed the audience at the Sundance Film Festival with their raunchy and absurd remix of The Shining. Making the waves at many film festivals, this short takes Kubrick’s original horror film footage and magically reworks the characters into a fictional trailer for a bizarre new viewing experience. mocha has a very soothing effect on me personally. Once I’m in the zone, I can rotoscope for hours on end. At Imagineer, some of our staff are unabashed fans of director, Joss Whedon’s sci-fi, space western TV show Firefly. While, Firefly was unfortunately cancelled after only 11 episodes, it went on to build a large and passionate audience from DVD sales, online streaming and the companion story in Whedon’s film, Serenity. Recently, the popular _Firefly_ & Serenity stars, Alan Tudyk and Nathan Fillion rebooted their unique experiences and cult-like following, into an incredibly successful crowdfunded IndieGoGo project and produced the web series, Con Man. Conventional wisdom tells us that successful post-houses are in the media hubs of NYC or Los Angeles. As their name suggests Trailblazer Studios breaks that mold. Trailblazer is a full service production, post, and sound facility located in Raleigh, North Carolina. Their passion is to tell great stories, whether that be in film, TV, commercials or web videos. Trailblazer works on a variety of content. Recently, that’s included HBO’s Private Violence , DIY's Salvage Dawgs , PBS's A Chef's Life and Twice Born: Stories from the Special Delivery Unit (with Markay Media), TLC's Sister Wives and many regional and national commercial campaigns. Mechanism Digital is an award-winning New York-based studio specializing in title design, VFX, graphics, and CGI for film, television, and advertising. Their credits include: HBO’s The Newsroom and The Wire, the feature films Still Alice, Mortdecai, and more. The studio recently upgraded to mocha Pro to tackle a demanding increase in New York’s post scene. Lucien Harriot is the 20 year veteran VFX-Supervisor for Mechanism Digital responsible for visual effects for films and scripted television. Los Angeles-based Wolverine VFX, Inc. prides itself on creating a congenial collaborative spirit amongst its artists and VFX professionals and the editorial departments they work with. The team provides beauty work, compositing, motion graphics, and UI for episodics, feature films, and web and marketing videos. Their credits include ABC’s Nashville, TNT’s Major Crimes, and the film The Salton Sea. “We view ourselves as a resource for our clients,” says Chuck Dulin, President & VFX Supervisor. Home to hit reality shows like FOX’s American Idol , ABC’s Shark Tank , and History Channel’s Ancient Aliens , along with popular episodic series like HBO’s Game of Thrones (a recent pick-up), CW’s Pretty Little Liars , and MTV’s Teen Wolf , Hollywood-based Chainsaw is a well-oiled machine. 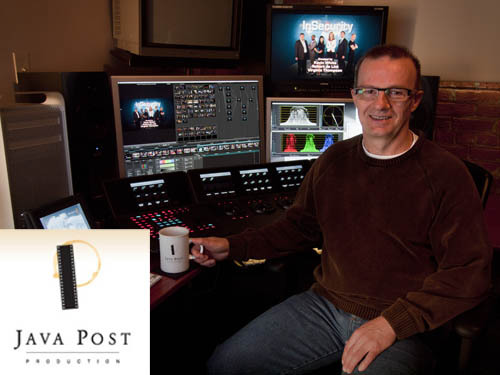 Add Post Factory NY , one of New York’s largest independent post production facilities, to the SIM Group family (Chainsaw, Bling, Pixel Underground, and Tattersall Sound & Picture) and you have a post powerhouse that easily serves both East Coast and West Coast clients. The Asylum is a Los Angeles-based movie studio that works at a breakneck pace producing 10-15 films per year across a wide variety of genres including, fantasy, horror, disaster films, historical dramas….and shark movies – popular cult hits Syfy’s Sharknado, Sharknado 2: The Second One, and the recently released Sharknado 3: Oh Hell No! (July 22nd). “_Sharknado 3_… one of the most disgusting, laughable yet weirdly beautiful visuals I’ve seen on TV this year. The Game Show Network (GSN) is a multimedia entertainment company with 80 million cable tv subscribers that plays host to classic game shows including The Newlywed Game, Family Feud, and The $25,000 Pyramid and original programming including Skin Wars, Steampunk’d, and Man vs. Fly. The talented design and animation team led by Gary Adler, VP of Design, consists of seven artists (Elsa Mejia, Senior Graphics Producer; Erik Larson, Art Director; Frank Grande, Senior Animator/Designer; Abraham Rodriguez-Smith, Senior Animator/Designer; Amy Bury, Designer) – all of which have access to mocha. Phosphene is an Emmy-nominated and Visual Effects Society winning independent design and visual effects house based in New York City. The mid-sized house packs a big punch with high-end 2D and 3D generalists along with three full-time VFX Supervisors. The team is currently working on the film Pride and Prejudice and Zombies based on the New York Times best-selling mash-up novel, recently signed on as the vendor/on-set supervisor for director Baz Luhrmann’s Netflix series The Get Down about the rise of hip hop in the 1970s Bronx, and has started working on season 2 of The Knick (Cinemax). GoConvergence (GOCO) is a full service ad agency headquartered in Orlando, Florida. The talented team provides a one-stop shop experience for its clients by offering film and video production, special venue experiences, interactive development, and marketing and media strategy. In the past year, GOCO has created national spots for Atlantis Resorts and Nassau Paradise Island in the Bahamas as well as Rockwell Tools and Ninja Blender. “When we switched over from Final Cut 7 to Adobe Premiere Pro, we really noticed the lack of stock effects and filters that Premiere had in comparison,” says Toby Dalsgaard, Director of Creative Services. London-based HALO Post ’s projects run the gamut from documentaries, drama, and light entertainment to commercials, film, and animation. The team prides itself on its diverse clientele, the fact that the owners actually work there, and knowing what it takes to get the job done in comfort. “We need to make sure our clients are able to ask for – and get – everything they want for their project,” says Paul Wilkes, Operations Director. Ingenuity Engine is a bi-coastal (New York and Los Angeles) visual effects facility that has worked on high profile TV and film projects like Brooklyn Nine-Nine (FOX), Parks & Rec (NBC), Whiplash (Sony Pictures), and many more. The team at Ingenuity has become well known for their creativity, VFX know-how and most recently the viral video sensation, Power/Rangers, an unofficial fan film. Imagineer caught up with Ingenuity Engine to learn more about their process and tools. Roger Bansemer knew he wanted to be an artist since childhood. The mostly self-taught painter has honed his craft over the decades. After watching shows on PBS geared towards painting, Bansemer felt he could develop a show, but needed the technology, crew, time, and money. With the encouragement of his wife, Sarah, Bansemer bought everything he needed for a first episode. Together, they created Painting and Travel with Roger and Sarah Bansemer , which was accepted to PBS after a long and arduous journey. We’re always happy to help out the local arts scene in our hometown of Boston. 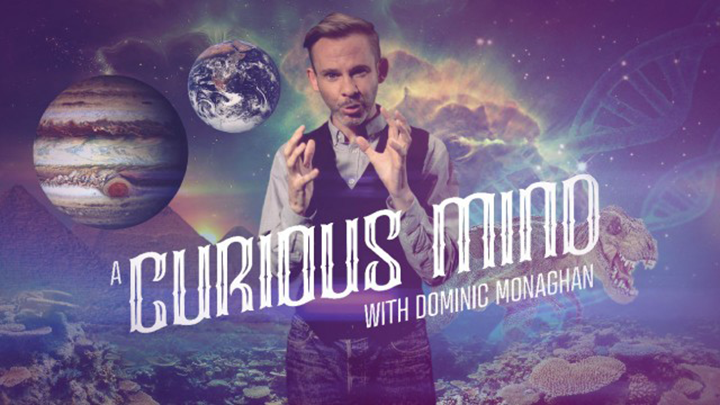 Recently, Paul Ezzy, Boris TV trainer and QA, was approached by Director Myriam Cyr to produce a series visual effects for the play “ Simon Says ” currently running at the Boston Center for the Arts (Feb 26-March 14th). The play, “a dramatized seance,” follows a young psychic channeling “Simon,” an all-knowing being, in an effort to scientifically prove the existence of the soul after death. The Molecule is a bicoastal (New York and Los Angeles) visual effects and motion graphics company known for its ability to create seamless visual effects shots with precise attention to detail. With a growing portfolio of work and aggressive delivery schedules, The Molecule is dedicated to using visual effects tools and techniques to create realistic shots that help drive amazing stories. Now in its 10th year, The Molecule runs the gamut, working on feature films, episodics, and even interactive multimedia installations. Note: Continuing with our artist interview series, we profile compositor, Roni Rodrigues from the award-winning London effects facility, BlueBolt. At last years’ SIGGRAPH, Roni stopped by the Imagineer booth and mentioned how mocha was greatly helping his tracking and compositing work. Following the recent release of “Jupiter Ascending,” Imagineer’s Ross Shain and Roni were finally able to catch up for a quick follow up. Q: Hi Roni, thanks for syncing up. If you’re on the one yard line with a few seconds left, you want RED57 on your side. The Burbank-based full service post-production facility works on FOX Sports shows including the FOX NFL Sunday pre-game show, FOX NFL Kickoff on FS1, NASCAR on FOX, and FOX Sports Live on FS1. RED57’s quarterback is Mikey Carr, the founder/owner as well as Senior Post Pro. After working as an online editor on shows like The O. The Leftovers Move Forward The Guilty Remnant from HBO’s The Leftovers may have taken a vow of silence, but luckily ALKEMY X (formerly Dive VFX) has not, The New York -and Philadelphia-based visual effects company, acted as both on-set and post supervisor during the first season of the popular sci-fi drama based on Tom Perotta’s book of the same name. 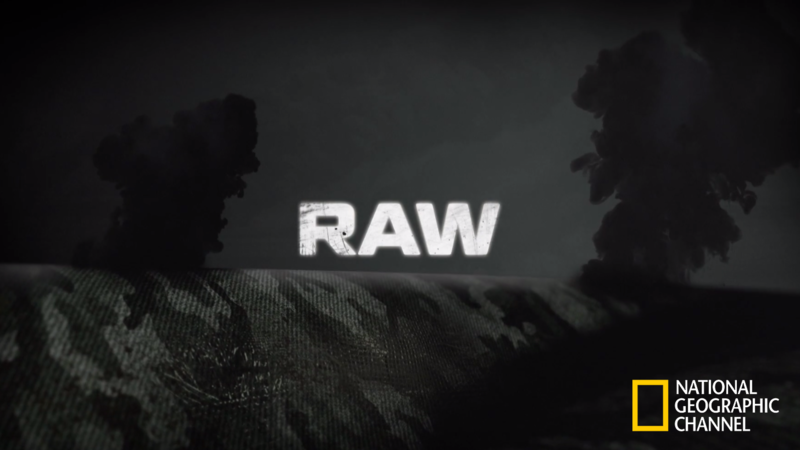 The series created by Damon Lindelof (Lost) and Perotta revolves around a small suburban town three years after two percent of the world’s population has mysteriously disappeared. Note: In this new user profile series, we are reaching out to artists working in various aspects of the industry to learn more about their personal history and how they use our tools. 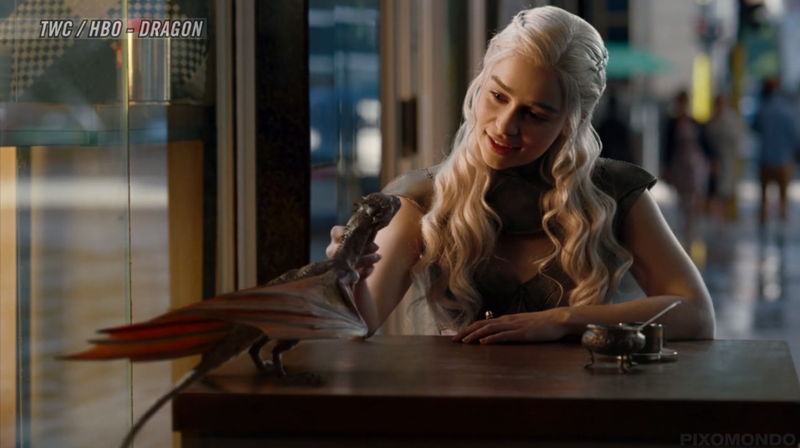 Recently, Imagineer’s Ross Shain talked with Jack Grundy, a VFX artist at Image Engine who has worked on “Game of Thrones”, “Teenage Mutant Ninja Turtles” and more. RS: Hi Jack, thanks for participating. 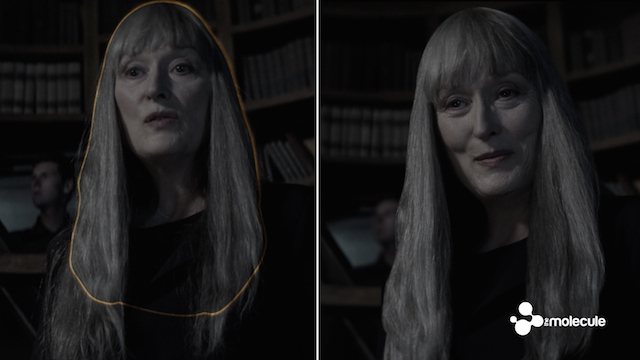 “’Gone Girl’ had at least 1,000 shots that used mocha AE for tracking, rotoscoping or compositing purposes”. Boris Continuum Complete is the first plug-in suite to offer a feature that allows users to import Mocha tracking data directly into its filters. 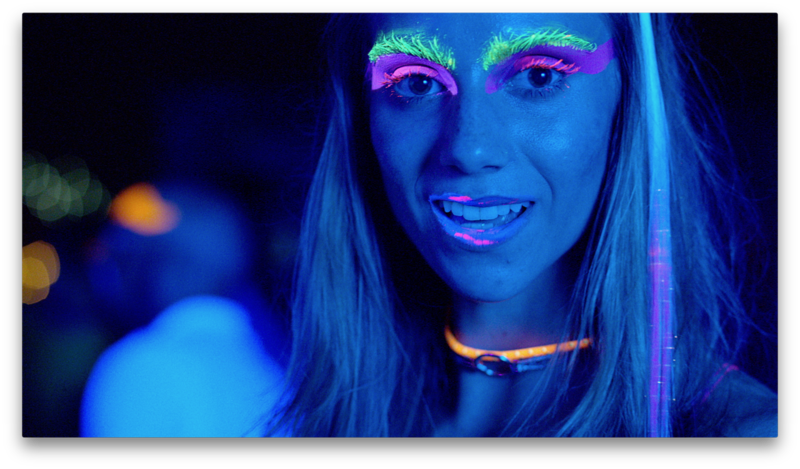 The reviews for CollegeHumor’s “The Tron Lebowski” are positively glowing, no doubt because the video’s neon visual effects came together with the help of “gloo” – and a bit of mocha by Imagineer Systems. 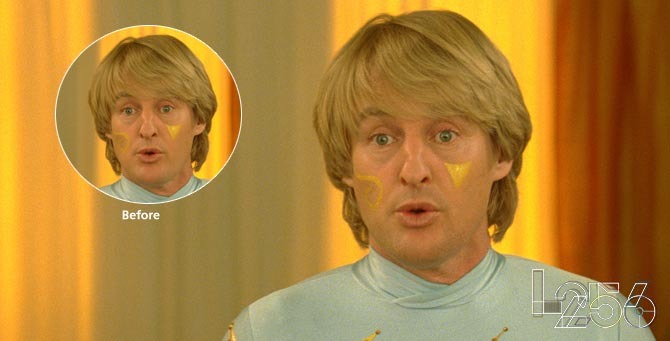 Gloo Studios, the award-winning video production studio stationed in Vancouver, was hired by CollegeHumor to work on the visual effects for the two-in-one spoof on “The Big Lebowski” and “TRON: Legacy.” To make “The Tron Lebowski” stand out, Gloo had to put their visual effects skills to the test. “Monday Night Fever” is gripping the nation once again. ABC’s Emmy Award winning Dancing with the Stars is a ratings juggernaut averaging 12.7 million viewers a week. The flashy reality dance competition that pairs professional ballroom dancers with celebrities is now in its nineteenth season. Yoram Tal (he goes simply by Tal) is one of DWTS ’s two online finishing editors. 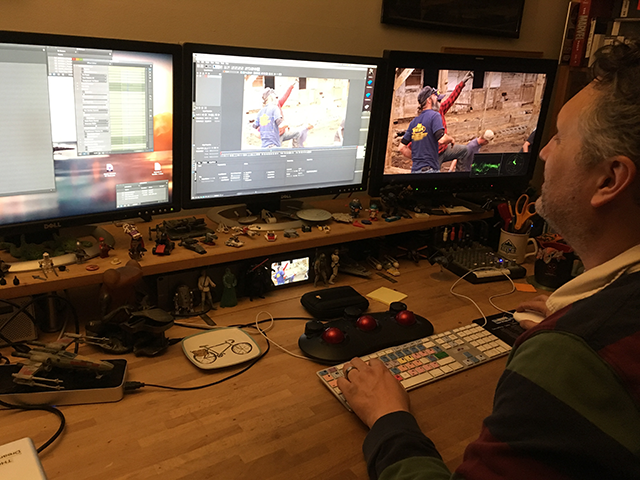 The Israeli-born freelance editor, whose credits include, ABC’s The Oscars , VH1’s Behind the Music , ABC’s Wipeout , and TNT’s The Hero , has been a longtime user of Boris FX products. David Helfand is a four-time Emmy nominated editor. His credits include Weeds , That ’70s Show , Friends , and Dream On . He was an editor on FOX’s The Mindy Project for the first two seasons. Although you’re more likely to see a pratfall on the half hour rom-com than a VFX-laden escape from an exploding building, Helfand subtlety builds BCC AVX filters into his cuts to help sell ideas and gags or even just make a scene more realistic. Splice’s latest project, the BBC’s upcoming 6-part comedy series, Siblings , follows the misadventures of a slovenly, unhinged brother and sister. 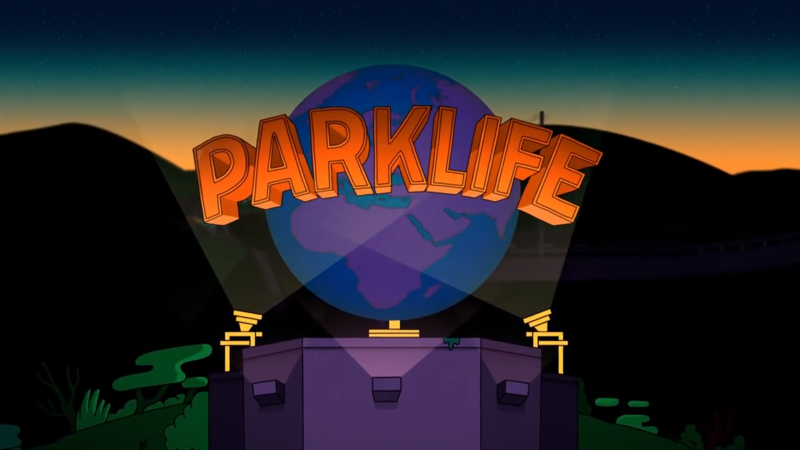 The series, filmed entirely with handheld cameras, presented the award-winning London-based studio with a unique FX challenge. Following a recent expansion, Splice now has thirty nine offline edit suites as well as two online Avid DS Suites, one online Symphony Suite – all of which have Boris Continuum Complete – an eleven-seat Baselight Grading Theatre & audio, VFX & content repurposing services. 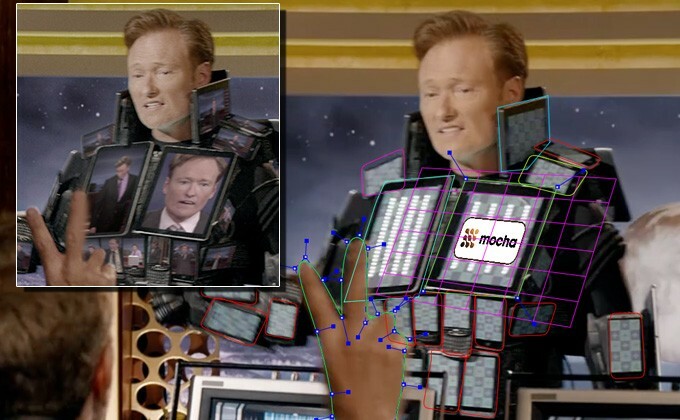 because mocha tracks surfaces as planes, for digital makeup or enhancement, we can use it to solve problems that we would otherwise have to take into 3D. Who doesn’t love cute, fun, and funny pet videos? Need a midday break? Watch “24: Twenty-Fur,” the harrowing tale about the threat of chocolate being released into the water supply, or catch a parody of John Legend’s “All of Me” called “All of Meat.” Since its launch in 2012, ThePetCollective (a branch of Fremantle Media) and its videos have been viewed millions and millions of times, and it’s easy to see why. A Q&A With Team from Park Road Park Road PostProduction is a world-renowned post-production facility based in Wellington, New Zealand. With expertise in DI, sound design, editing and visual effects, Park Road is well known for its work on feature films, short films, television and cinema commercials, broadcast, mastering, restoration and archival work. Developed “by filmmakers for filmmakers,” Park Road is famous for work on major Hollywood blockbusters including “The Hobbit: An Unexpected Journey” and “The Hobbit: The Desolation of Smaug,” “District 9,” “The Lovely Bones,” and “The Lord of the Rings Trilogy. 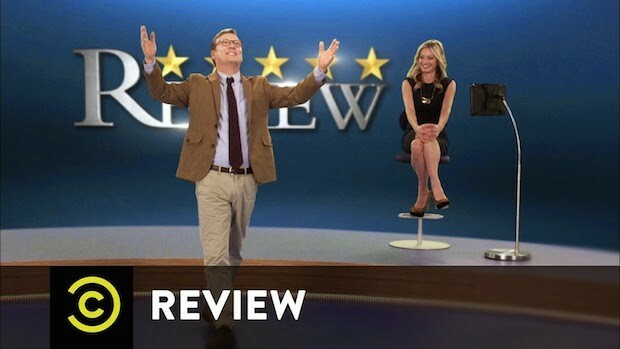 Comedy Central’s newest television show, Review, is a captivating send up of the traditional weekly review show. Starring Andy Daly (“Eastbound & Down”) as Forrest MacNeil, this show features a critic who does not review shows or movies. 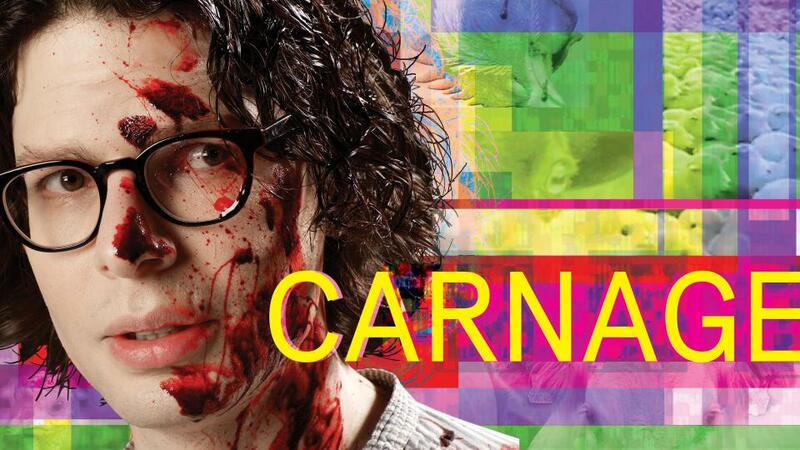 Instead, he reviews intense experiences of life itself – from drug addiction to dating a celebrity. A glimpse of the show’s premiere reveals that the “set” is the experience itself. The show is a behind-the-scenes look at Daly’s actions as he is being filmed reviewing any given life experience. When it comes to beauty work and film, there are only two phases that count: production and post-production. Production, in part, consists of a team of makeup artists – a little concealer here, some blush there and a perfectly painted performer ready for the camera. In post-production, all the things that happen during the course of the shoot come to light: a pesky blemish that found its way into the shot with the help of some harsh lighting, strands of hair that came loose during a brilliant dance move, or maybe just a wardrobe malfunction that occurred on an otherwise perfect take. Bruce Tovsky is a Renaissance Man. His career spans across the arts — editor, painter, printmaker, experimental musician, composer, record producer, and sound engineer. Currently an editor for Razor & Tie, a New York-based independent music label, Tovsky specializes in music videos (BCC Film Damage is a fave for heavy metal), EPKs (electronic press kits), and tv spots, along with documentaries (a personal love). Tovsky depends on Boris Continuum Complete in Adobe After Effects, Avid, and Final Cut Pro for all his varied projects. With episode titles like "The Hungry Games," "Grape Expectations," and "Iron Apple," Annoying Orange — a cartoon featuring a motley, pun-filled crew of fruit with live action mouths and eyes — doesn't take itself too seriously. Its creation, however, is serious business for Kappa Studios, Inc., an award-winning, full service post-production studio based in Burbank, CA. Patrick Francis Xavier Murphy (aka F.X. Murphy), Kappa's Animation Director/VFX Supervisor and long-time user of Boris FX products, leads the team. mocha allows rukus to deal with major issues that would otherwise hinder the creative process. mocha has become a vital virtual partner in all of our VFX challenges. Greg Walton, owner of Spot On Productions, believes in a lifelong evolution. From a copywriter for the top theatrical ad agency in New York to Charter Media's head of Creative Services in Michigan to an independent producer/editor, Walton, who has also jumped from Avid to FCP to Adobe Premiere Pro, candidly offers up some advice, "Learn as much as you can about as many different aspects of the industry as possible. Like its namesake "Powder House," where colonists stored gunpowder in the 1770s, Powderhouse Productions packs a punch. Tucked into a tiny bustling neighborhood outside Boston, Powderhouse is a full service production company, creating original programming for cable and broadcast networks (A&E, History, Travel Channel, Animal Planet, Discovery, PBS, Food Network, and VH1), agencies, brands, and corporations. Earlier this year, Stephen Barker, Director of Post-Production, and the team at Powderhouse Productions underwent a major Avid upgrade. Founded in 1969, PBS (Public Broadcasting Service) has developed into a prestigious multi-award winning, multi-platform institution of American culture. Boston-based WGBH is its single largest producer of tv and web content. Meet Paul Sanni, Creative Services for WGBH. Sanni, a longtime user of Boris FX products, edits and does sound design on short form broadcast pieces. His work includes series promos for Masterpiece, American Experience, and NOVA, broadcast IDs, fillers, and ever increasingly online videos such as "
Monsters Come to Life on NBC’s Grimm – Season 3 NBC’s Grimm returned last Friday with the anticipated Season 3 premiere. Season 2’s cliffhanger left loyal fans guessing, wondering what direction the new Season would take. And they were not disappointed! The “Ungrateful Dead” premiere was markedly different, noticeably darker and with the intensity amped up several notches. 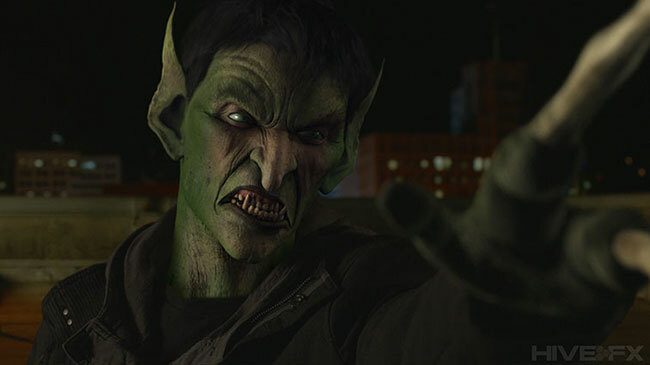 Inspired by Grimm’s Fairy Tales and set in modern-day Portland, OR, Grimm is a wild, dark fantasy cop drama in which the main character battles an assortment of villains and creatures – that come to life with the help of the VFX mastery of the artists at Hive FX. HARD CHARGE® is the first and only televised obstacle race course. For four to five grueling miles, individuals compete in 20+ obstacles with names like "No Holds Barred™," "Hit the Wall™," and "Iron Will™." To avoid a post-production obstacle course with similar imagery, the team at HARD CHARGE® turned to Boris FX and Boris Continuum Complete (BCC) 8 AE as it launched this summer. "BCC 8 has been crucial in our TV show so far with both the everyday editing as well as the more complex VFX we have created,"
Niklaus Hofer is one of the three founders of Uber Eck in Munich, Germany. A pun in German, (Uber Eck means “Around the corner”) there is nothing flip about the creative work coming from Hofer’s shop. With an impressive background in digital film and animation, Hofer and his team specializes in creating unique pictures for a wide variety of projects. To say they’ve found a sweet spot between graphics and design animation is somewhat of an understatement. With studios in Melbourne and Sydney Australia, Iloura is a VFX, animation and design studio motivated by creative problem solving and technical innovation. 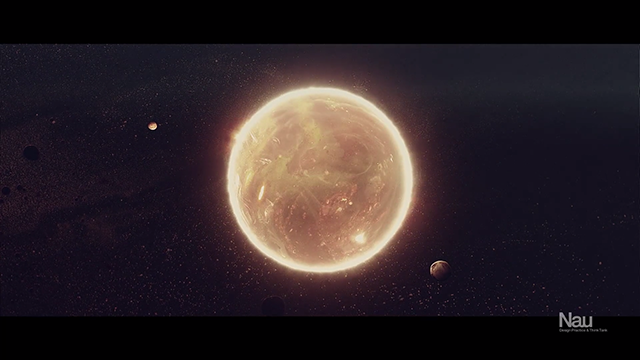 While Iloura’s highly regarded reputation has been built around its character animation work, the studio also produces outstanding results in matte painting, compositing, FX animation and motion design for the film, television and advertising industries. The team is passionate about producing the best impact on screen – from the production of high quality, fast-turnaround pre-visualization through to a flawless final shot or sequence. Breeder is a design-­led motion graphics studio with an all­-consuming passion for storytelling. Founded in 2010 and based in Brisbane, Australia, the team at Breeder specializes in motion graphics – taking an idea from concept to completion. Imagineer spoke with Adam Sebastian West, creative director at Breeder; and his enthusiasm for his work is inspiring. We asked Adam and his team to talk a little bit about his shop and some projects they’ve been working on. Rob Kelly is a filmmaker and music producer as well as a percussionist with the Tran-Siberian March Band (TSMB). TSMB recently collaborated with DJ Yoda , one of the world's best-known hip-hop DJs, and a master turntablist who is also well known for his use of video in his live shows. As part of the collaboration, TSMB performed with DJ Yoda live on stage at a series of shows including WOMAD Festival, Kendall Calling Festival, Bestival, Camp Bestival, and The Camden Roundhouse. DIVE is the visual effects and picture finishing division of Shooters INC. One of the East Coast’s premiere facilities for digital film finishing services, DIVE offers filmmakers the unique approach to complete Visual Effects, Digital Intermediates and Titles at one facility by coupling creative talent with an integrated workflow. DIVE employs VFX artists, colorists, designers & editors partnered with experienced Producers and innovative technology. The team at DIVE customizes workflow for each film to ensure that the film’s creative, technical and budget requirements are met. As Restoration Producer for Cinerama, Inc., David Strohmaier is responsible for restoration of original Cinerama films - the first truly widescreen presentations of movies. Cinerama is the trademarked name for a widescreen process which works by simultaneously projecting images from three synchronized 35 mm projectors onto a huge, deeply-curved screen, subtending 146° of arc. It is also the trademarked name for Cinerama, Inc., the corporation which was formed to market the process. Big Sky Editorial has been in the post production industry for over 25 years, working on everything from commercials and music videos to short and feature length films. A full service shop editorial company based in New york City, Big Sky provides all areas of post-production including sound, motion graphics, and visual effects for all mediums of story telling. Ryan Sears is the visual effects supervisor at Big Sky Effects division and has been working there for about 8 years now. 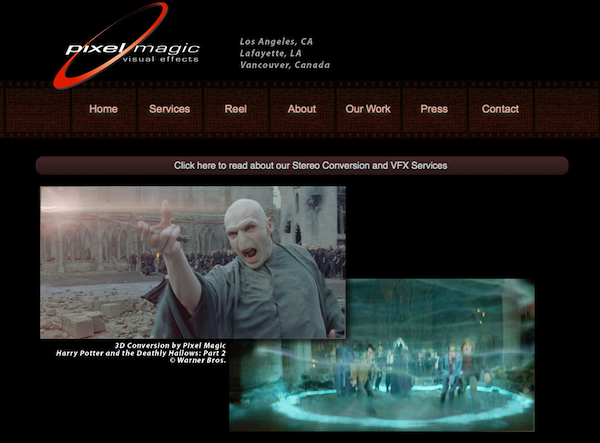 Pixel Magic recently celebrated its 25th year in post production as a digital visual effects shop for the motion pictures and television industry. An impressive production pipeline, combined with deep expertise in both visual effects and 3D stereo conversion has allowed Pixel Magic to tackle some highly visible projects recently – from independent art-style films to Hollywood blockbusters. With offices in Los Angeles and Lafayette Louisiana, Pixel Magic offers a wide array of visual effects such as compositing services, including CGI creation of objects, animals, smoke, fire, and matte paintings. 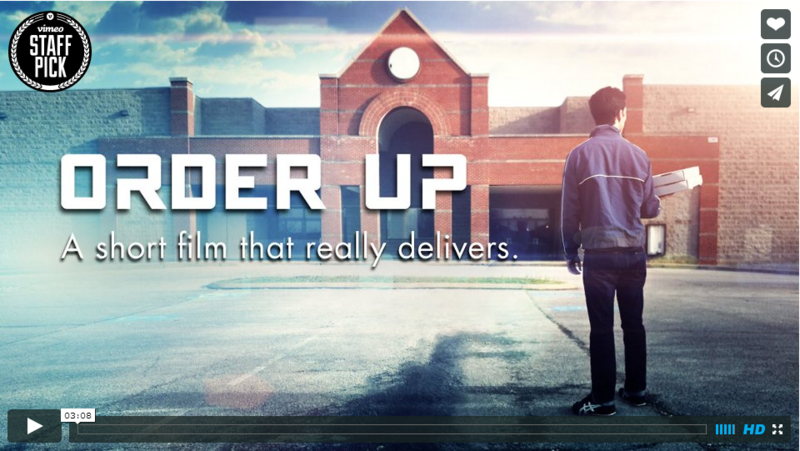 Webby Award-Winning Director, Seth Worley’s “Order Up” Our friends at Red Giant have been busy lately, producing a number of short films in support of new product launches. Recently, to showcase the cinematic impact of Knoll Light Factory 3, Red Giant produced “Order Up”, a new short film in collaboration with Seth Worley, the Webby Award-winning director of Red Giant’s film Plot Device. Harry Frank, well known motion graphics designer and visual effects artist for Red Giant also played a huge role in the post production of Order Up. HIVE-FX brings to life the creatures of NBC’s Grimm Earlier this summer, Jim Clark, president of Hive-FX joined Imagineer Systems at SIGGRAPH 2012 to talk about howMocha Pro fits into their vfx pipeline. Hive FX is a boutique VFX, animation, and live-action shop based in Portland, OR. For the past two years, Hive FX has been busy bringing to life some of the scariest – and most technically challenging – moments of NBC’s hit series, Grimm. Ash Beck is the owner and lead visual effects artists of Nerve Films, a full-service creative studio specializing in live-action visual effects, photography and design. 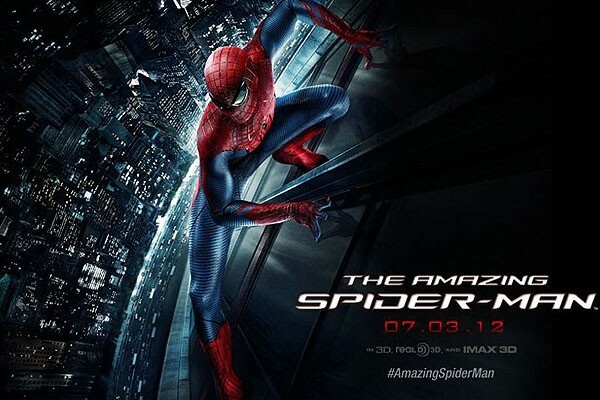 Ash recently spoke about mocha Pro v3 and its role on this summer’s blockbuster, The Amazing Spiderman. “The Amazing Spiderman was a perfect fit for our studio,” said Ash. “I designed the New York backgrounds for several key sequences during the pre-vis stage and was hired by the production to work directly with VFX supervisor Jerome Chen, editor Alan Edward Bell, as well as the director Marc Webb. David Helfand is an Emmy-winning film editor. He started his editing career cutting promo reels, commercials, music videos, and documentaries for a small production company in Los Angeles. His first editing break came on the acclaimed HBO series "Dream On," for which he earned a CableAce Award and three nominations during its five year run. His next editing job came with NBC's "Friends," which he also produced. In 1998, he received editing and writing Emmys for a news feature chronicling his father's return to Poland 50 years after leaving Auschwitz. Michael Svirsky is entering his sixth season with This Old House and Time Inc. as VFX Artist and Post-Production Supervisor. 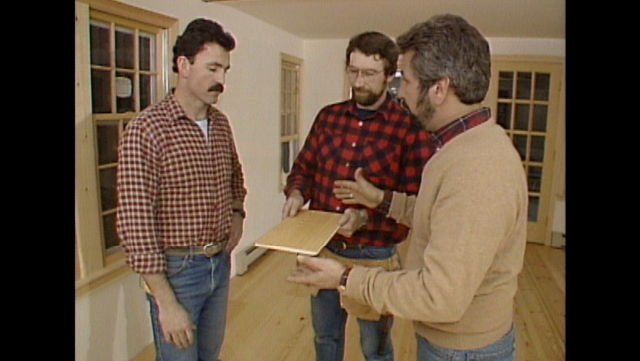 This Old House and Ask This Old House air on PBS, are syndicated on CW channels, and are served on ThisOldHouse.com and PBS.org. This Old House also provides content for This Old House Ventures' marketing and sales initiatives and constantly develops new shows and series. This Old House has a library of 30 years of content that is processed and mined for information and content on daily basis. By Jeffrey Hellman Moving Box Studios Filmmaker Jeffrey Hellman has a passion for creating socially conscious media. He has worked on a wide variety of international documentaries for several NGOs, NPOs, and grassroots organizations. He’s also an editor and motion graphics designer at multimedia production company Moving Box Studios. 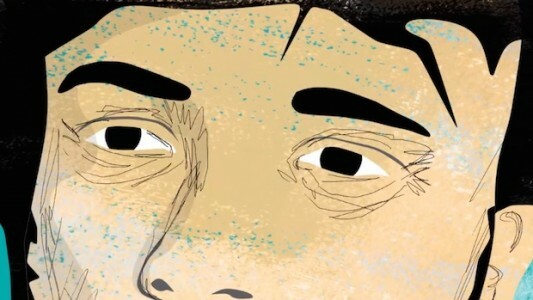 When working on the documentary Honoring Home, he discovered Boris Soundbite, a unique dialogue search tool that quickly and accurately finds any word or phrase spoken in recorded media. Sean Lee is a video editor, engineer, producer, and musician who has been editing on Sony Vegas Pro for over a decade. He founded The Voice Mechanic in 1996, where he has served as a vocal coach for over 2,000 students - including many well-known names within the music and film industries. His clients include members of AC/DC, Great White, The Scorpions, and Quiet Riot. Sean also operates Melrose Studios , offering video production, photography, web design, video editing, music recording/mastering services, and more. 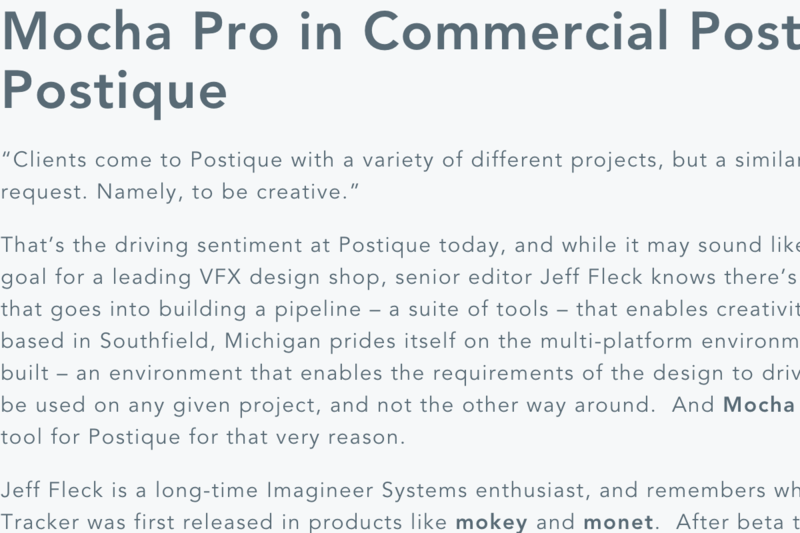 Saša Jokić, New York City-based editor and VFX artist is a long-time Imagineer Systems customer and fan of mocha Pro. Saša recently launched a new post production collaborative called MASSIVE Workshop, Inc, and shared with us his background, his experience in post production, and what inspires him. Saša also shared some feedback with us on mocha and the new v3 release of Mocha Pro. On Saša Jokić My name is Saša Jokić and I am creative video editor and VFX artist based in New York City. 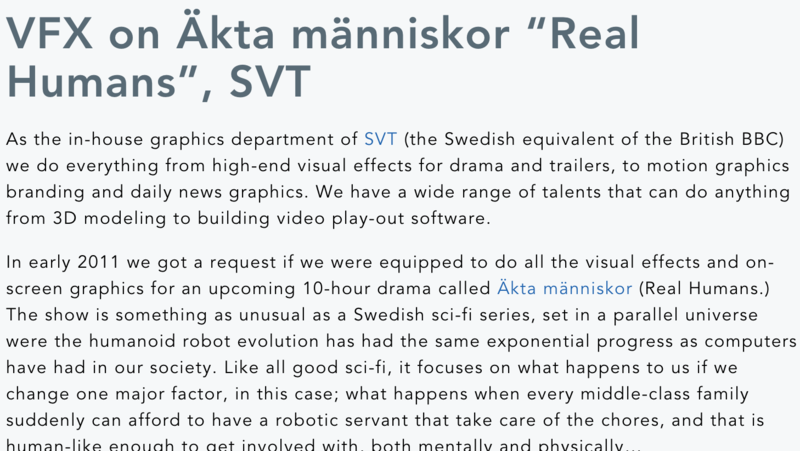 As the in-house graphics department of SVT (the Swedish equivalent of the British BBC) we do everything from high-end visual effects for drama and trailers, to motion graphics branding and daily news graphics. We have a wide range of talents that can do anything from 3D modeling to building video play-out software. In early 2011 we got a request if we were equipped to do all the visual effects and on-screen graphics for an upcoming 10-hour drama called Äkta människor (Real Humans. ESPN and Evolve Digital Cinema, a boutique digital creative agency based in Chicago, recently teamed up to tell the story of Norwegian Cross Country Runner Monika Korra. The TV short feature was a long undertaking and was filmed in Norway and Dallas TX, in several stages during the fall in 2011. Post Production began in December 2011 and was finished in Feb 2012. The story called for some very heavy subject matter. 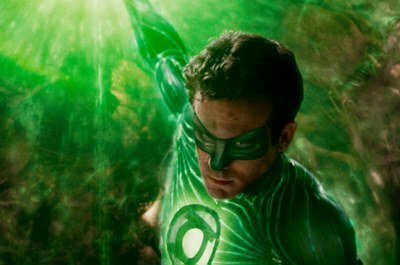 This is an interview with Mocha user Ralph Scaglione of FLYfx, a visual effects and post production house in New York. Sam Gorski, Nikolas Pueringer, and Jake Watson came together as Corridor Digital as a by-product of a low budget monster movie they had filmed together in Vancouver while they were still in college. That was in 2009. 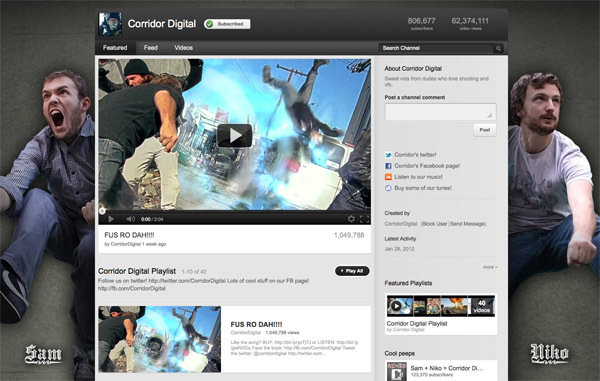 Today Corridor Digital is at the forefront of a new generation of filmmakers and visual effects artists creating and distributing their own original content on YouTube. With over 800,000 subscribers, Corridor’s blend of humorous action shorts has proven that DIY filmmaking does not need to look low budget. Tomas Egger has made a name for himself in Brazil, as a film director for television advertising spots, a VFX supervisor and a software developer (Electric Image). With over 17 years of experience in special effects and CGI, Egger opened his own studio,Otto Studios , in Brazil. We had met Tomas a couple of years ago when he shared his work with us on a commercial spot he had done for the TIM Music Festival. Customer Profile: TRIXTER (Munich. Los Angeles. Toronto. Berlin) Since 1998, TRIXTER has been creating outstanding visual effects and digital character animation for feature films, television and commercials. From the early days, TRIXTER established itself as a major player in the field of emotive character animation, both for fully computer generated animated features as well as live-action productions. Over the past few years, TRIXTER has expanded its expertise by branching out into visual effects and has recently accomplished some outstanding work for German and international projects such as Percy Jackson, Lilly The Witch, Iron Man 2, Narnia 3, X-Men: First Class, Journey 2, Captain America and many more. Customer Profile: Boundary VFX. December 2011 Boundary VFX specializes in rotoscoping, keying, wire & rig removal, paint and reconstruction. Run by a globally distributed team of professional digital artists based in the US, UK, Brazil and Canada who share a passion for visual effects. Its artists have worked on commercial and television projects for Discovery Channel, Showtime, PBS, and Channel 4 (UK) and boast an impressive list of film credits including Harry Potter & the Deathly Hallows, Iron Man 2, The Smurfs, Hereafter, Priest, The Green Hornet and many more. Identity FX, Inc. is a full-service Visual Effects and Stereoscopic 3D facility located in Los Angeles and has more than one-hundred visual effects and stereoscopic credits to its name, and counts all of the major US Studios and several television networks as clients. Identity FX has earned a reputation in the industry for impressive work as a high-concept VFX shop, but also for its acclaimed stereo 3D conversion work on such films as Narnia- The Voyage of the Dawn Treader, Green Lantern, Conan the Barbarian, as well as native stereo work on U23D and Aliens of the Deep. Two Syfy shows, Eureka and Warehouse 13, recently moved to Avid Media Composer for offline editing, but still use Apple Final Cut Pro for online editing. To meet crushing deadlines, Fausone sought a workflow tool that would seamlessly transfer Avid Media Composer sequences with Boris Continuum Complete effects to Apple Final Cut Pro - with the BCC effects in-tact, including keyframes. His wish list included support for variable speed changes, opacity and cropping, flops, dissolves, and titles. Accurate source timecode in each clip was also imperative. Founded in 2006, Gradient FX is a multiple award-winning artist and technology-driven VFX studio. Balancing the ideal blend of art and technology, Gradient FX artfully mix their technological savvy with high design and artistry to deliver unconventional, yet visually stunning results for their clients. Gradient FX has over 30 feature films under their belts – from arthouse indies to global blockbuster films, as well as award-winning music videos, television commercials and game cinematics. 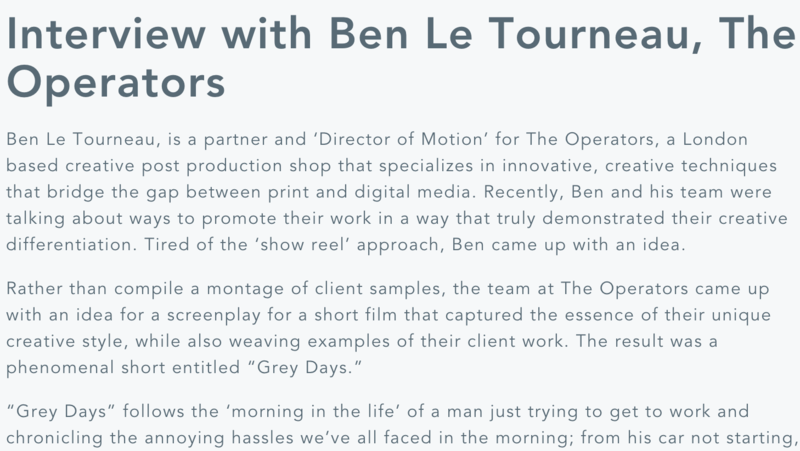 Ben Le Tourneau, is a partner and ‘Director of Motion’ for The Operators, a London based creative post production shop that specializes in innovative, creative techniques that bridge the gap between print and digital media. Recently, Ben and his team were talking about ways to promote their work in a way that truly demonstrated their creative differentiation. Tired of the ‘show reel’ approach, Ben came up with an idea. Rather than compile a montage of client samples, the team at The Operators came up with an idea for a screenplay for a short film that captured the essence of their unique creative style, while also weaving examples of their client work. AlphaDogs Post Production is a full service post-production company based in Burbank, California. Operating in the heart of Burbank's media district, AlphaDogs offers state of the art editing bays, color correction, audio mixing, visual effects, graphics design, production offices, and equipment rentals. AlphaDogs recently completed all post-production services for Pregnant in Heels, a new docu-drama series that profiles "MomPrep", a high-end maternity training academy that assists sophisticated expectant mothers with bizarre baby needs ranging from Brazilian waxing for the labor room to getting the baby into British aristocracy. They say good comedy is all about timing. That’s all well and good for live comedy, but what happens when you’re shooting a Hollywood blockbuster comedy? Take after take resulting in hundreds of shots and scenes in no particular order. Just footage. What’s missing? Timing. And the reality in the industry today is that good comedy films are created in post production, with extremely sophisticated VFX playing a bigger role than ever in helping create that critical timing that drives the site gag, the perfect entrance on the scene, the line delivery, and the actors’ reactions. The stereo 3D conversion process has evolved significantly in only a few short years. What was first perceived as simply a process of taking existing 2D footage and manipulating parallax and convergence to create an illusion of 3D, has in fact become a sophisticated process of transforming footage shot in 3D to be more immersive, cleaner and in a word – better! 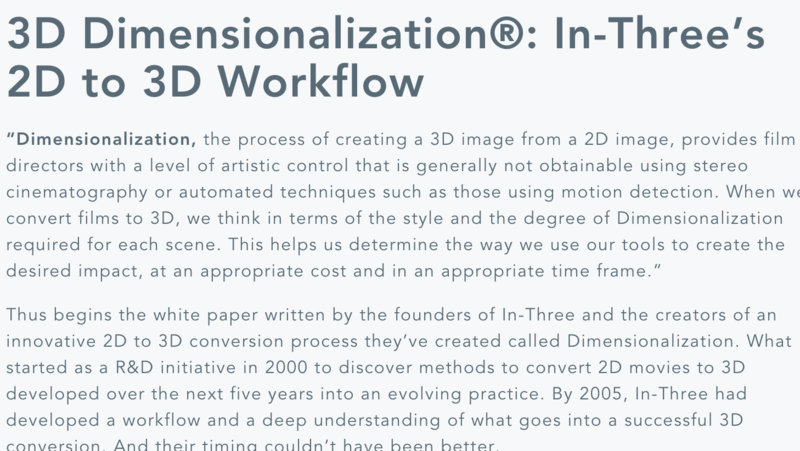 And in the span of two or three years, not only has the technology evolved, but companies like Identity FX in Los Angeles have invested significantly in the expertise to develop and manage finely tuned 2D-to-3D conversion pipeline that take full advantage of this sophisticated technology. VFX supervisor, Tim Burke and producer Emma Norton first approached Baseblack in early 2009 to ask if they’d be interested in working on Harry Potter and the Deathly Hallows, the two–part epic finale to the most successful franchise in cinema history. 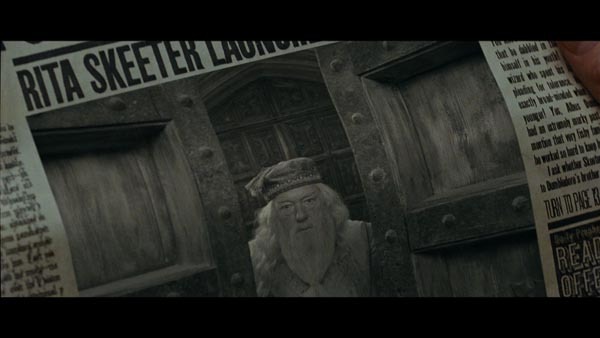 Baseblack had worked on several previous films in the Harry Potter series. This time, Tim and Emma were thinking about using a flexible boutique; one that could be deployed throughout the film to clean up various sequences, while larger vendors would be used to focus on the major set pieces. Mocha is an indispensable tool. No other tool out there can do what Mocha does. Today, it’s just a normal part of the VFX workflow at LOOK FX, just like pulling a key, it’s a standard. None of this would have been possible without Mocha. Tell us a little bit about yourself. I grew up in the Midwest, with stops in Iowa, Kansas, and Minnesota, before my family headed west to Arizona. After serving a church mission in Mexico City, I went on to Brigham Young University to become a television sports anchor. I quickly found out I had the face for radio and voice for closed-captioning. So I switched to production behind the camera. Cameron Clark is a filmmaker, animator and visual effects supervisor-for-hire who splits his time between Oakland and LA, and is driven by a passion for visual story telling. Recently, Cameron was tapped by Warner Music USA and London Alley Entertainment to act as the effects supervisor for The Goo Goo Dolls newest music video, “Not Broken” where he oversaw the shooting and designing of individual effects elements and executed the compositing and animation of each element. 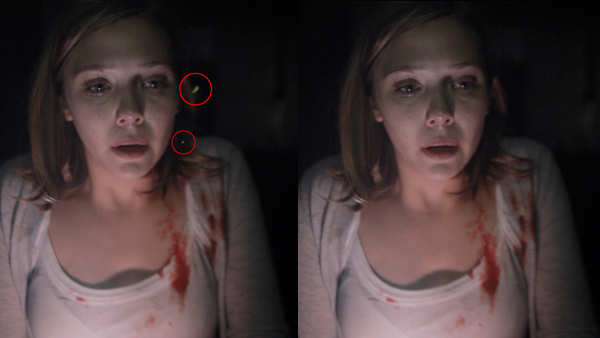 Dimensionalization, the process of creating a 3D image from a 2D image, provides film directors with a level of artistic control that is generally not obtainable using stereo cinematography or automated techniques such as those using motion detection. During the summer of 2009, while in the midst of post-production on his Warner Bros. picture, Invictus, Clint Eastwood approached the film’s visual effects supervisor Michael Owens about creating an even more gritty and realistic look for the rugby players in the film. CIS Vancouver, under the direction of visual effects supervisor Geoffrey Hancock, was already well into visual effects work on the virtual crowds and stadiums for the rugby matches when they were also tasked with creating the digital make-up and costume enhancement effects for the film. Harry B. Miller III, A.C.E. is a picture and sound editor who works in the feature film and television business. He grew up in Lexington, Kentucky and attended Boston University and the University of Kentucky where he earned a Bachelor of Fine Arts. In 1978, he attended the University of Southern California (USC) Cinema School where he earned a Master of Fine Arts in Film Production. He has since worked in the Southern California film business. NDR, the northern division of Germany`s national broadcast association, uses Boris Continuum Complete FxPlug as the standard effects package on 30+ Apple Final Cut Pro edit suites. Senior editor and editing supervisor Oliver Krau shares how and why BCC is used in every day editing projects: "We decided to equip all of our FCP suites with BCC FxPlug as that makes it easier to schedule them for all of the different editing jobs. In 1988, Sherrie White co-founded New Generations, Inc., one of Hawaii's largest independent production/post-production companies. Last year, she split from New Generations and started HDTV Hawaii, Inc. Sherrie is one of the original users of Avid DS, having worked on DS since the first beta version in 1998 through the current Avid DS release. 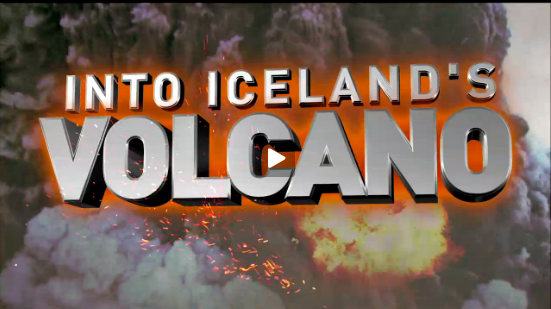 HDTV Hawaii specializes in documentaries, long-form multi-show series, program opens and graphics packages, and corporate and government presentations. HD Heaven is a state-of-the-art video post-production facility located in Birmingham, United Kingdom. The shared vision of husband-and-wife team Tony & Patti Quinsee-Jover, HD Heaven caters to high-end broadcasters and corporate clients. They have edited several thousand TV commercials and several hundred broadcast programs. At the heart of HD Heaven's studio is Avid DS Nitris, handling HD, SD, 2K, and 4K film, all in real-time. HD Heaven does a lot of conforming on their Avid DS systems from projects offlined on Avid Media Composer. This Old House TV was awarded an Emmy for its New Orleans Project episode, which featured the rebuilding of an 1892 Creole-style shotgun home located in Lower Ninth Ward that was badly damaged by Hurricane Katrina. Throughout its 30-year history, This Old House has earned a grand total of 17 Emmy Awards and garnered an impressive 82 nominations. The production crew traveled from Massachusetts to New Orleans to capture this story and other stories of the city's revival. Since 1983, FRONTLINE has served as American public television's flagship public affairs series. Hailed upon its debut on PBS as "the last best hope for broadcast documentaries," FRONTLINE's stature over 27 seasons is reaffirmed each week through incisive documentaries covering the scope and complexity of the human experience. The responsibility for creating FRONTLINE's promos and packaging materials falls to John MacGibbon, winner of two national Emmy awards in the last two years and a recent nominee for two additional Emmys, and writer/producer Missy Frederick. Martin Zwanzger proves that you don't need to run a million dollar film studio in order to work on big movies. Out of his home office in Nuremberg, Germany, Martin offers his services for all kinds of graphics, post production, film, and VFX work. His customers include ScanlineVFX, ARRI Film & TV, Constantin Film, and Concorde Filmverleih, working on projects such as " The Chronicles of Narnia 2 "
Digital Kitchen is a creative agency that focuses on film production, experiential design, motion graphics, brand identity, and interactive work for marketing and entertainment. With studios in New York, Chicago, Seattle, and Los Angeles, Digital Kitchen has created experiential campaigns for Target and Microsoft, broadcast spots for hundreds of leading brands, interactive work for AT&T, Budweiser, and Mercedes, the Emmy Award-winning main titles for "Dexter" and "Six Feet Under", a series of manga comic books for Nike, and the live show content for The 2008 Webby Awards. Carl McKay is a Fire Editor at Fox Digital, Los Angeles. He has been working with Discreet's Fire and Smoke for about six years. Despite the pressures of working in such a high-profile environment, Carl has found time to beta test the SGI IRIX-based Boris Continuum Complete for Discreet Sparks. BCC includes over 100 dynamic filters that extend the capabilities of Discreet Inferno®, Fire®, Flame®, Flint® and Smoke® systems. The Discreet¹s Sparks architecture is an advanced Application Programming Interface (API) for developing custom plug-ins for Discreet finishing systems. Steve Pankow is a Senior Editor at KEZI, the ABC affiliate in Eugene, Oregon. He runs both Boris Red and Boris Continuum Complete AVX 3 on his Avid system. Two additional Xpress Pro systems also include RED and BCC AVX. Despite the fact that Eugene is a small market (#120), if you watch the demo movie, you will agree that their work is worthy of a top five market. “KEZI has the fortune of being affiliated with the Oregon Sports Network, which produces weekly television shows promoting the University of Oregon's sports teams,” said Pankow. Some say baseball is a boring game. Those people have never been to The Ballpark in Arlington, Texas, home of the Texas Rangers. Photographer/Editor Hugo Carbajal and Creative Director Rush Olson have found the winning combination using the Boris Motion Graphics Package with their two Avid systems. The process starts before the team ever assembles in Surprise, AZ for training. Rush and Hugo put together a list of things that need to be accomplished, from player shots, to commercials to in-park imaging needs. Kristi Joiner-Simpson doesn’t have a lot of time. With dozens of promos to produce each week for the CBS affiliate in Phoenix, AZ, she typically has 5 hours from the time she gets her assignment to the time she hands over a tape to air. She needs high-impact effects and titling that produce results, and she needs them fast. She’s obviously been getting them, too. Among the results she’s produced are five Rocky Mountain Emmy Awards. The Need for Speed In a deadline-driven television newsroom environment, speed is a MAJOR issue. When breaking news hits, priorities shift quickly to cover stories that will inform and help the public. While speed-to-air is a must, even late-breaking news alerts need a polished presentation and brand affiliation. However, these professional looking packages need to be assembled easily and quickly. Inevitably, there is a battle between these two areas. Steve Oakley is the owner of Practical Illusions and lead creative artist. 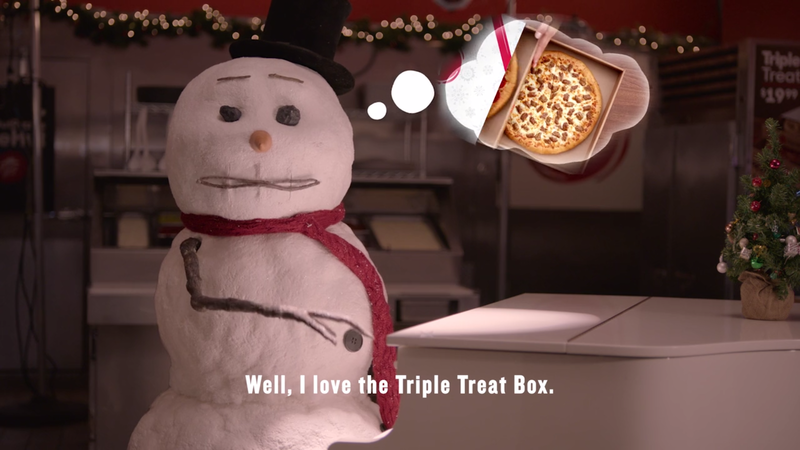 Practical Illusions provides high-end editorial, effects and production for the Midwest market. “Our clients are typically television networks and fortune 500 companies. A lot of them are back in NY. They can be very demanding to say the least, and that’s fine. With dependable tools, we can be confident about meeting their needs.” “We do a mix of show opens for TV, spots, and occasional long form work. Randy Rike serves on the Board of Trustees for Capital Christian Ministries International as the Director of Media & Technical USA. He lives in southern California, and works in Hollywood, at a large post production facility. CCMI is based in Lusaka, Zambia. His duties include researching and procuring anything technical, but primarily production and post production resources. Over the last five years Capital Christian Media has acquired four Avid editing systems, two Xpress Pros, and two Media Composers. A Wide Variety of Native Filters and Transitions Magic Eye is located in Hürth, Germany, outside Cologne. The facility created the post-production of several award-winning German TV shows including "Genial Daneben," "Schillerstrasse" and the first seasons of "Was guckst Du?!?" which was nominated for the International Emmy in 2001. But they also specialize in on-screen design such as show openers, commercials and highresolution design for tradeshows. Florian Peters is one of the owners of Magic Eye.